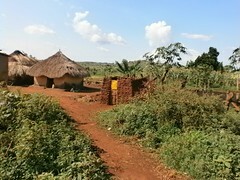 Nyakabale-Hanga is an isolated village in Kiryandongo District. 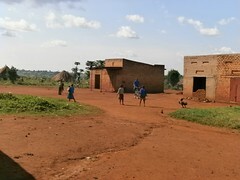 It is surrounded by fields and hills. The village counts 37 households. 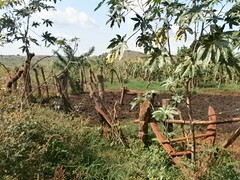 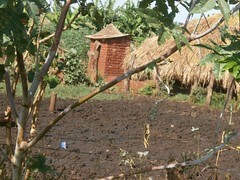 Most people work in their garden during the day, growing maize, beans and cassava. 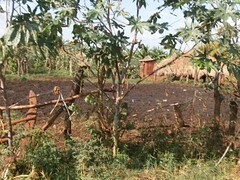 Some families supplement their income by rearing chicken, goats and cows. 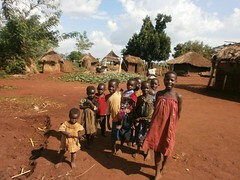 The people living in Nyakabale-Hanga come from various areas. 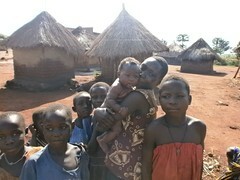 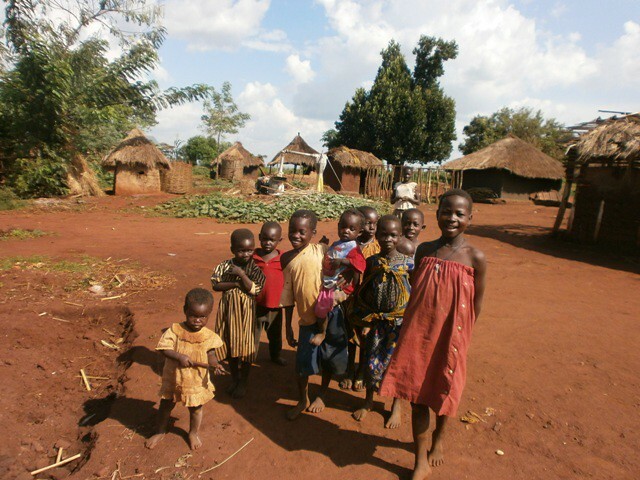 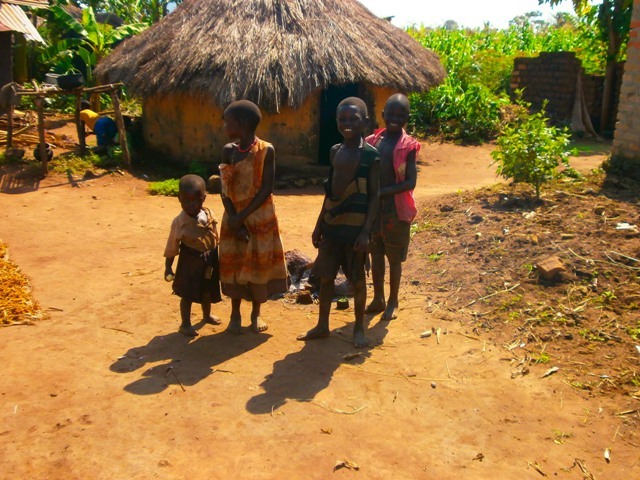 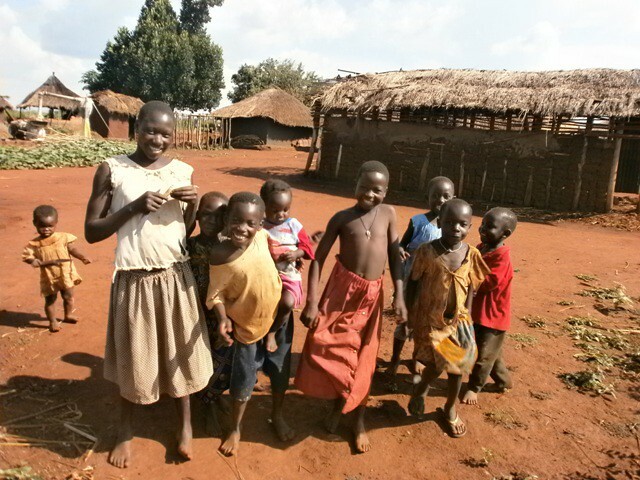 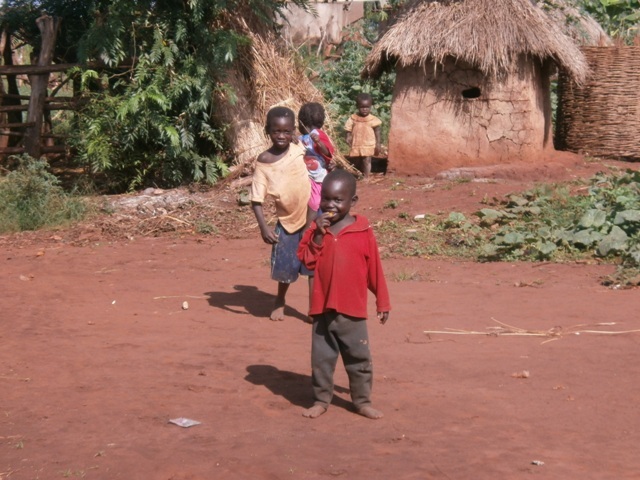 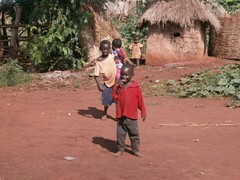 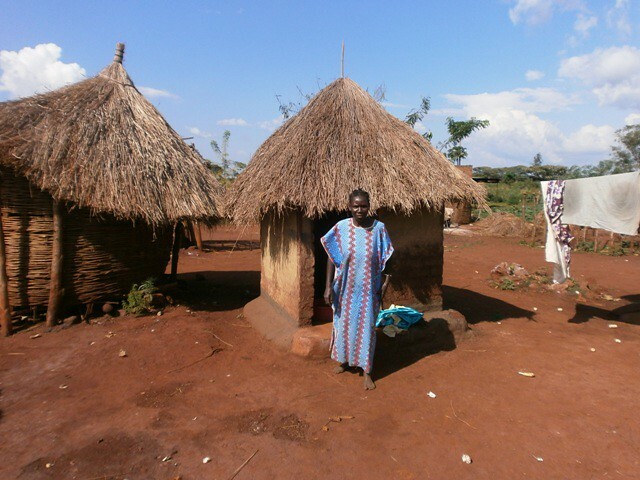 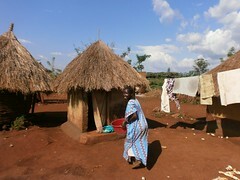 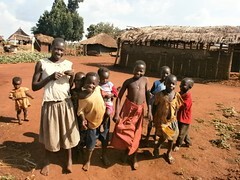 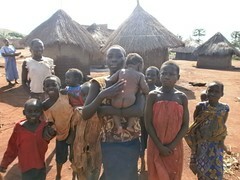 A big number of the households come from Northern Uganda. 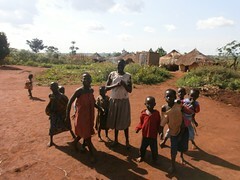 They fled the northern region during the cruel war of the Lord Resistance Army. 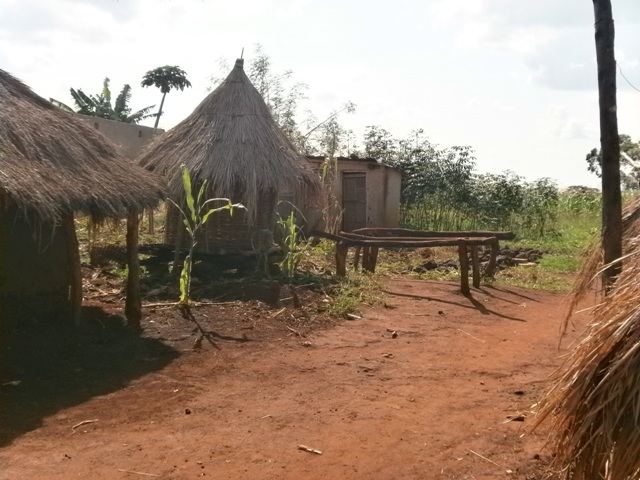 Most of the people decided to stay in Masindi. People have to walk far to fetch water from a protected water source. 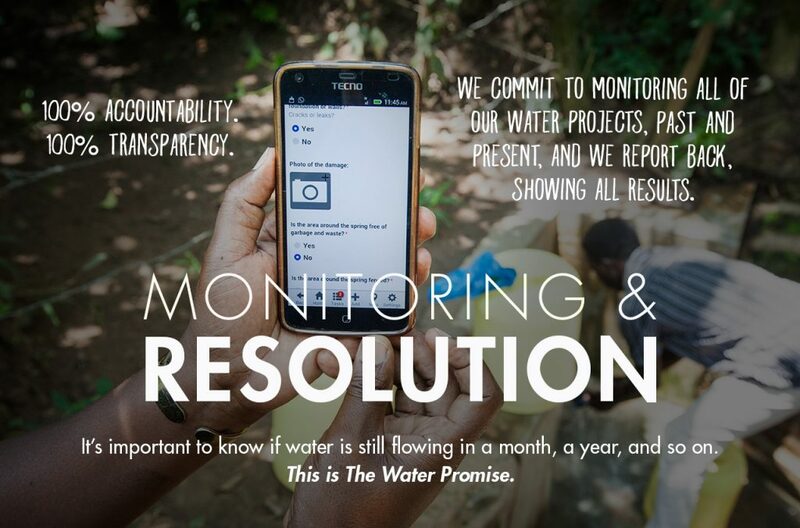 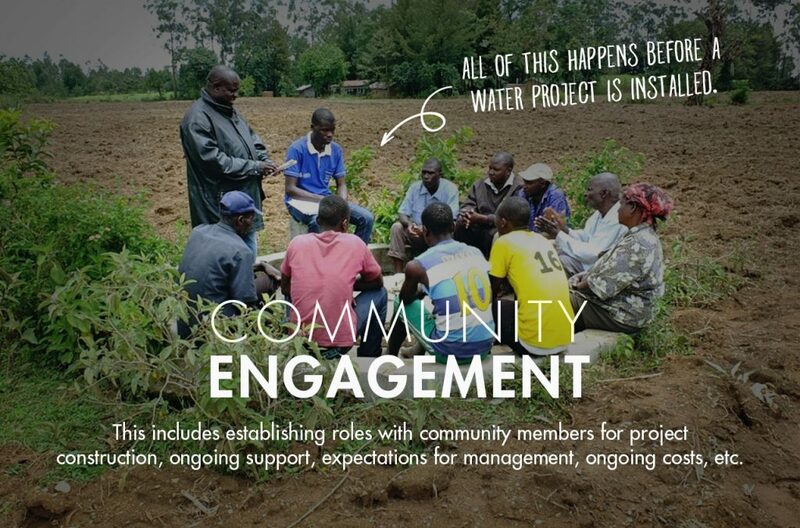 Therefore, most community members use the water from an open source that is in their village. When we enter the village we are welcomed by a group of young children bathing and playing in the water. We see women washing their clothes and fetching water in jerry cans. 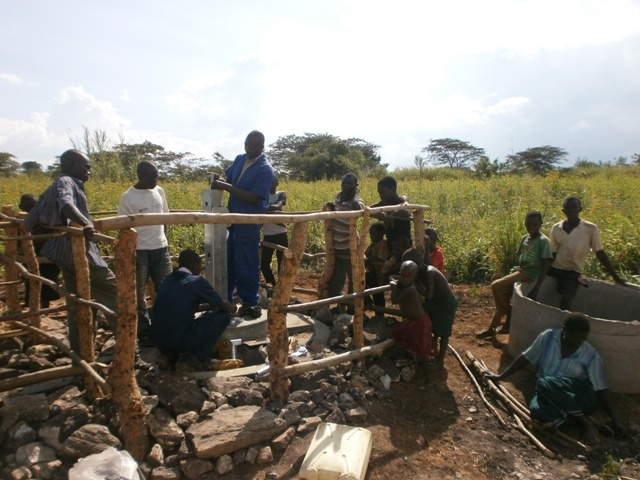 This new water source will signify a change in the lives of the community members of Nyakabale-Hanga. 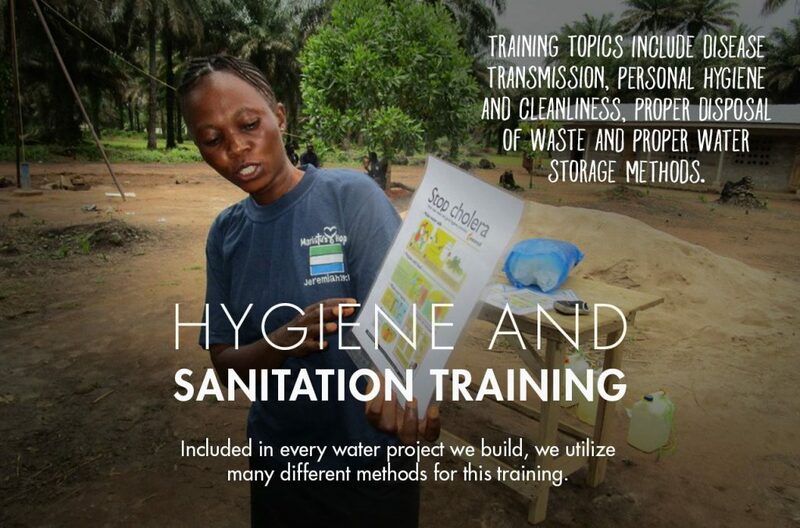 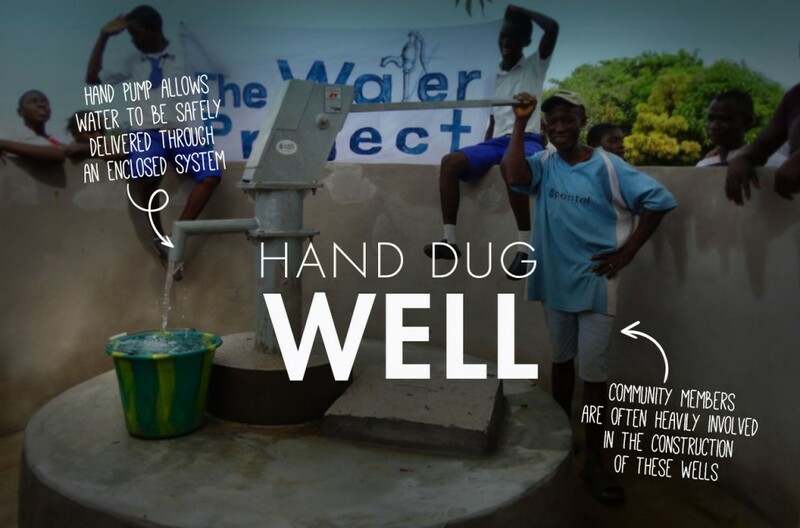 In the coming months The Water Trust will work together with the community members to improve hygiene and sanitation in every household. 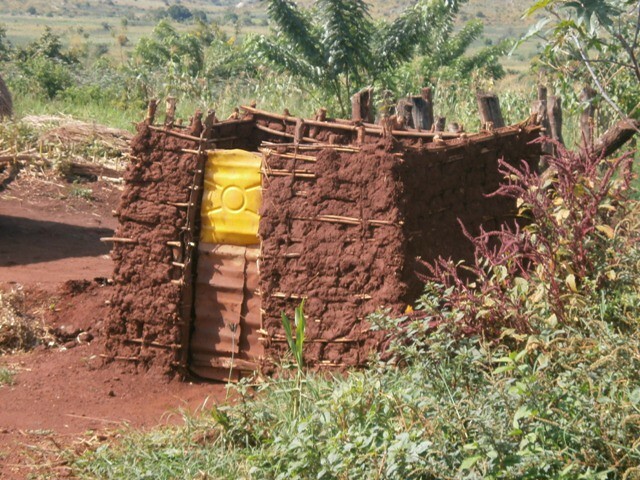 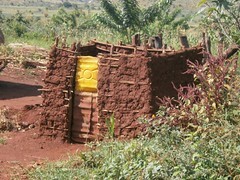 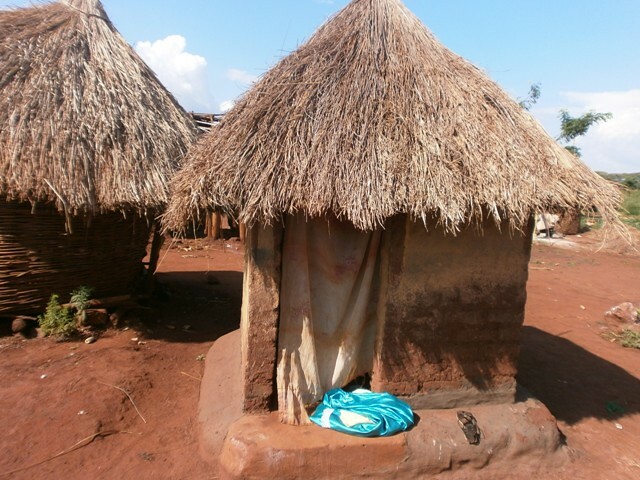 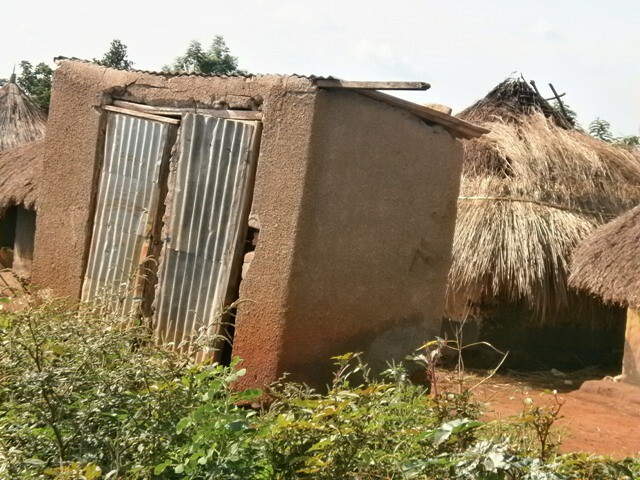 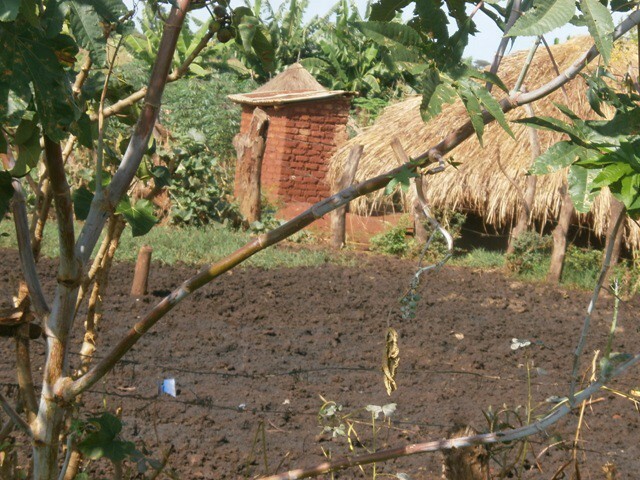 Unlike other villages in this region, all households in Nyakabale-Hanga have access to a latrine. 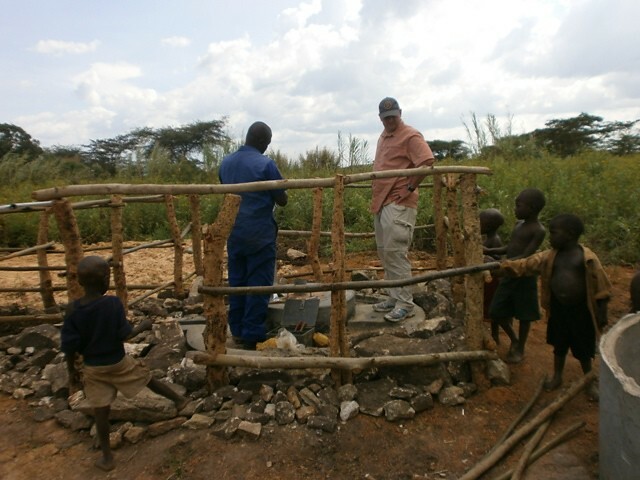 Therefore, The Water Trust will focus on improving hand washing, drying racks and rubbish pits. This week the technician has been transferred to Nyakabale-Hanga. 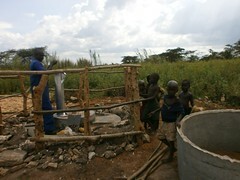 For the coming weeks the technician will stay with the community. 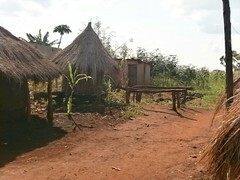 The community will provide a house and food for the technician. 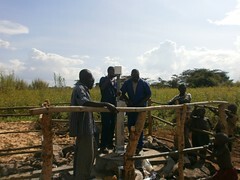 The depth of the well is 11 ft. Construction is moving on sound and the community is participating well. 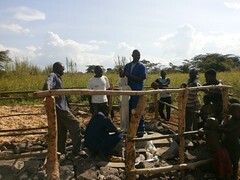 Construction is going on very well. 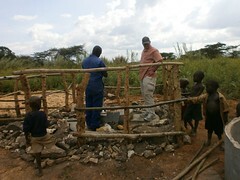 Currently the depth of the well is 19 ft. The technician and the community have been working hard. 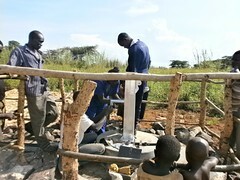 Currently, the depth is 22 ft and the technician is currently bricking up. The site is almost finished! 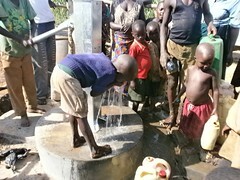 01/16/2013: Water Flowing In Nyakabale-Hanga! 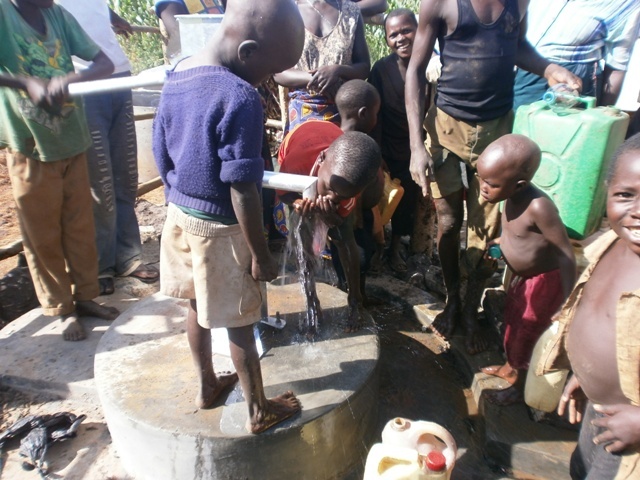 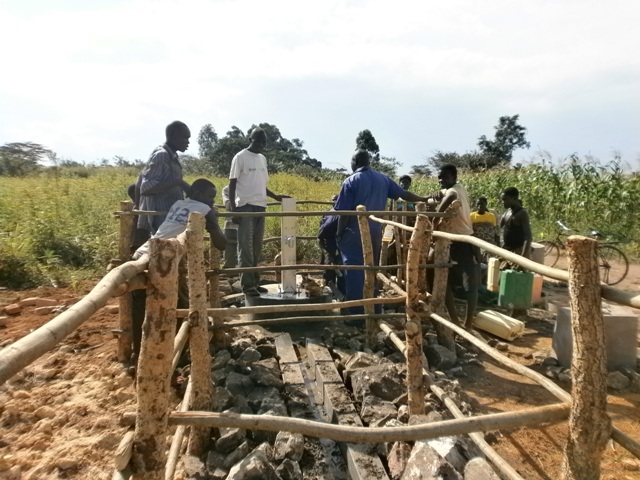 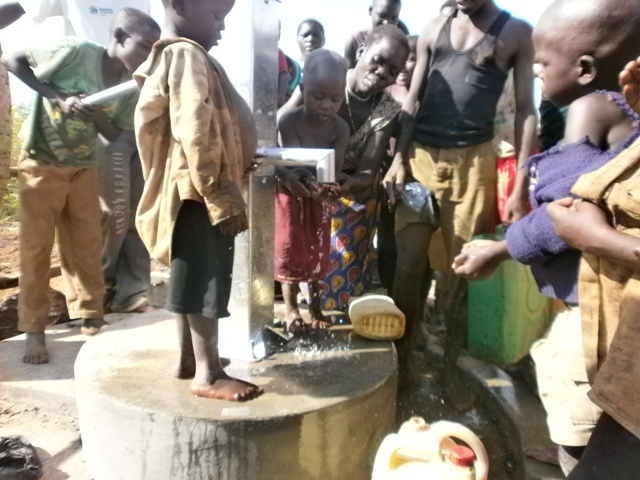 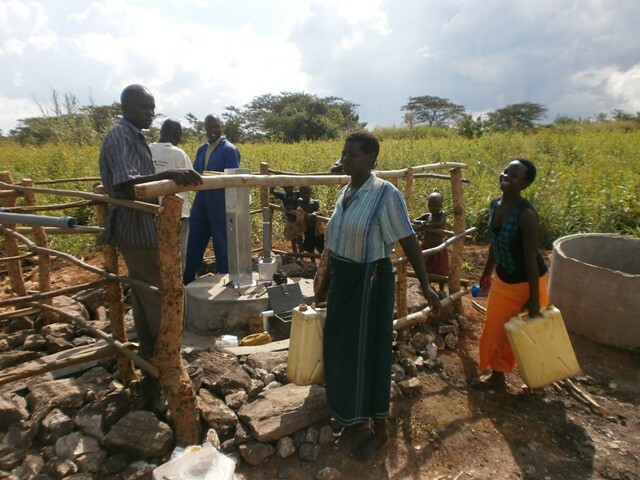 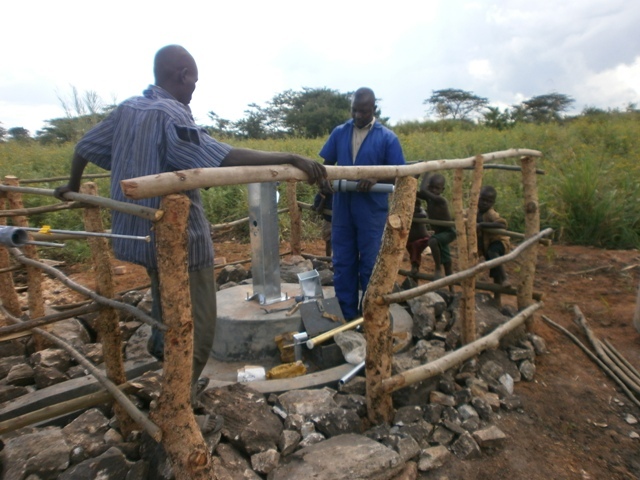 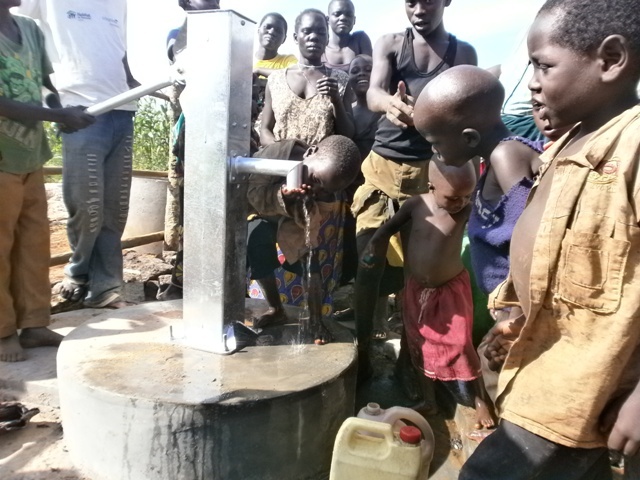 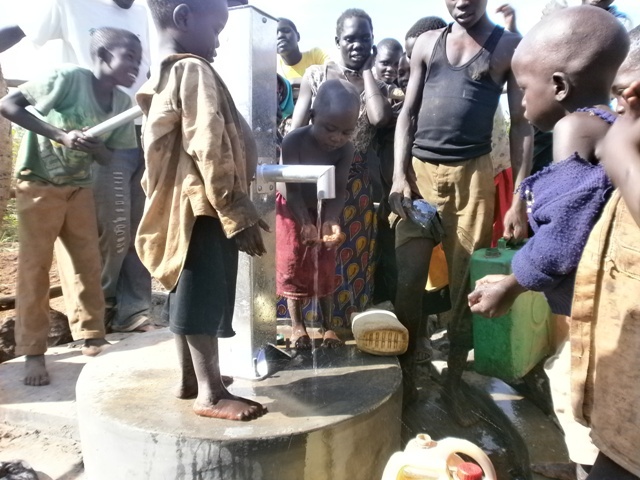 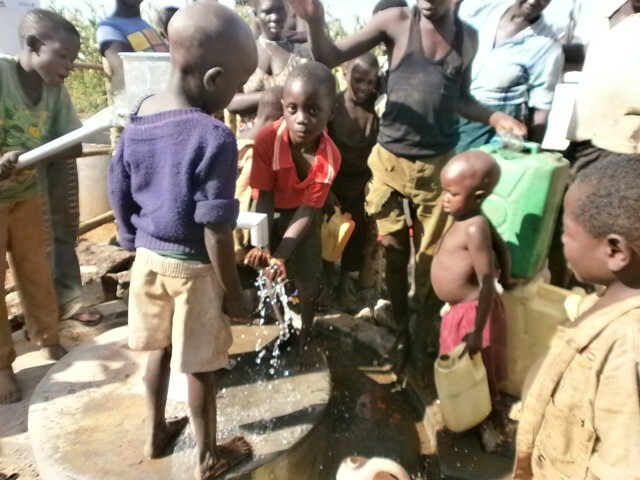 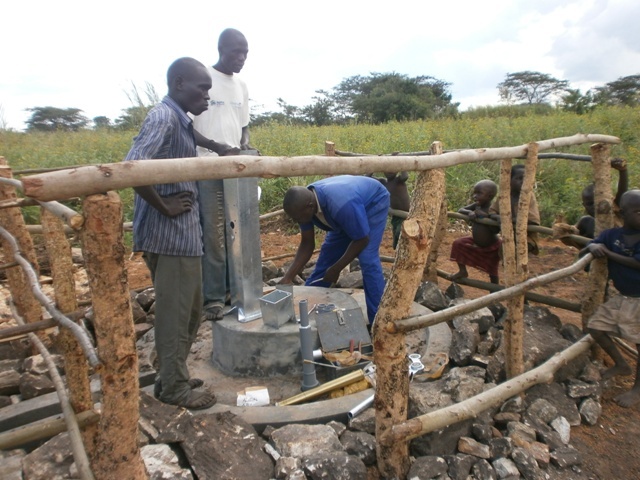 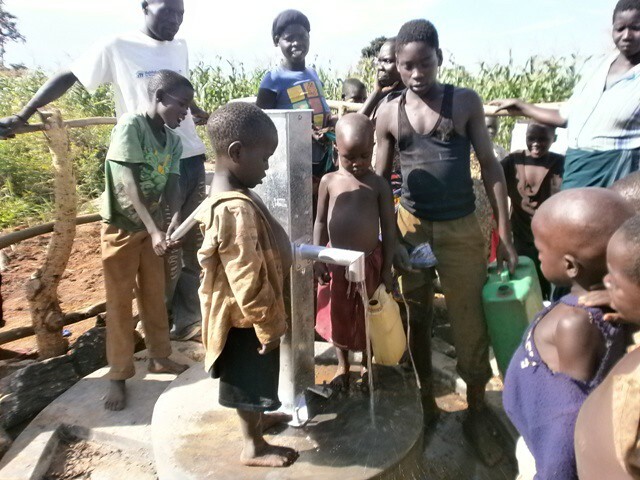 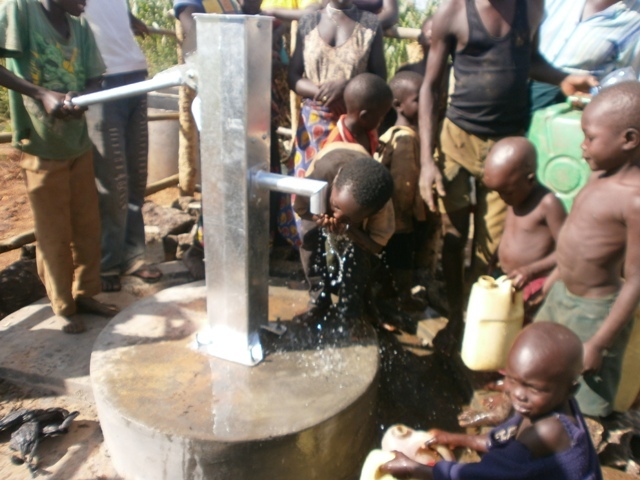 We are excited to report that the water project in Nyakabale-Hanga, Uganda is finished. 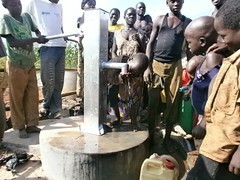 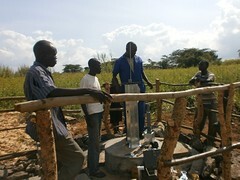 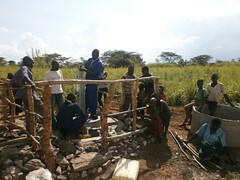 The hand-dug well is complete and is providing safe, clean water to the community. The report below from our partner in the field gives the latest details of the project. 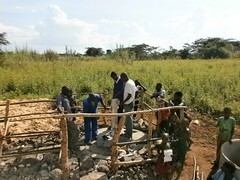 Also be sure to check out the new pictures and video of the project. 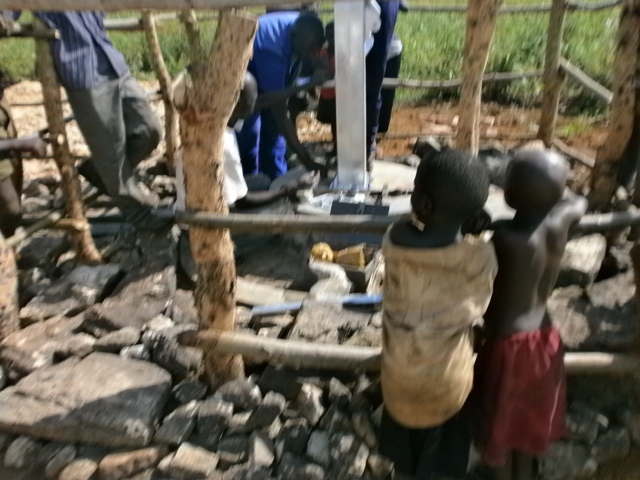 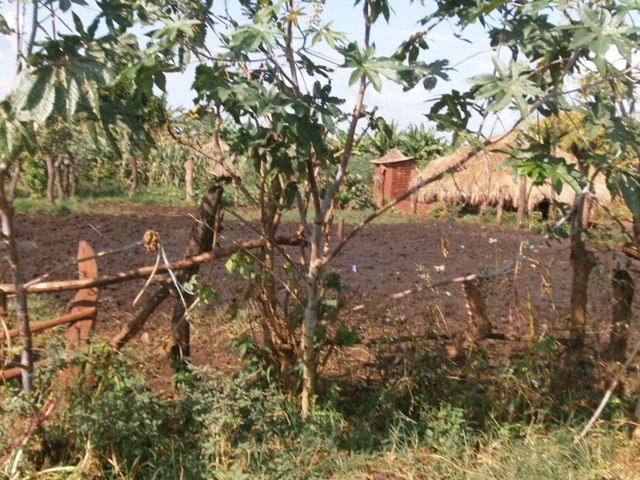 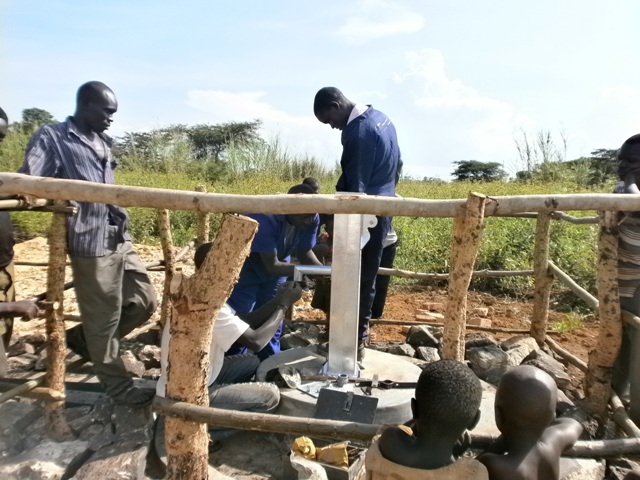 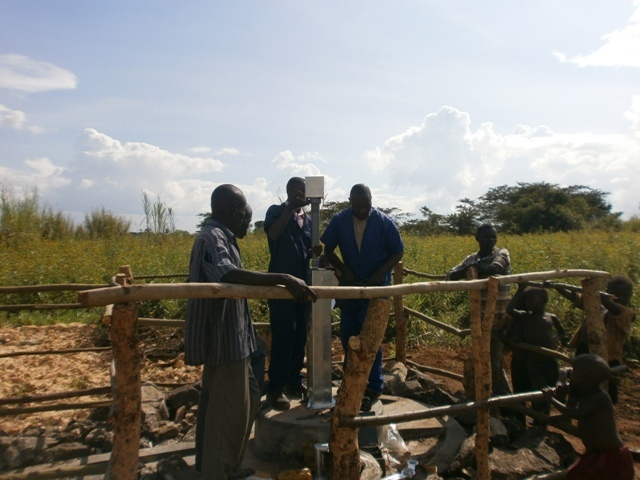 We are excited to report that construction has begun on a new well for the community of Nyakabale-Hanga in Uganda. 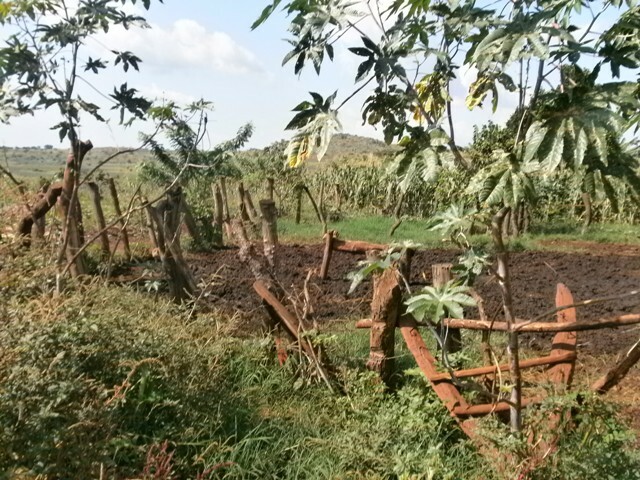 We just posted an initial report from our partner in the field including some pictures and information about the community.